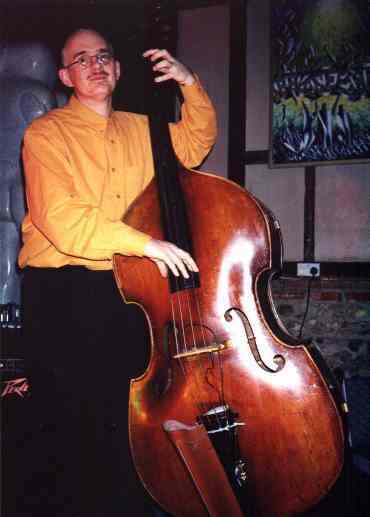 Simon plays double bass and electric bass in Jazz Ambience. He is a professional composer of classical and avant-garde music and a teacher of the acoustic bass. He has played with several well-known jazz musicians in festivals around the world and his works are commissioned by Arts Foundations all over the country. He runs his own record company "Bruce's Fingers" and a number of his recordings have received critical acclaim from international music journals. His album "Thirteen Rectangles" was recently nominated for a prestigeous BBC Jazz Award.